Knowing what the weather is going to do is vital on this trip. I will be a maximum of 85kms from my start point and I need plenty of forewarning of bad weather so I can get back to Tasiilaq before it hits so I don't miss my flight back to Iceland. 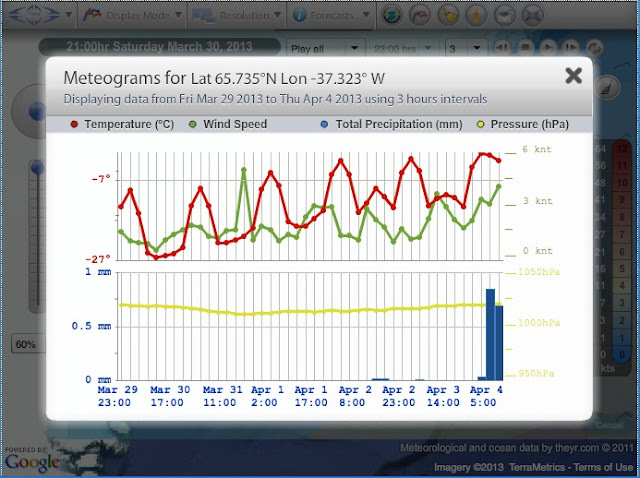 I have allowed several days extra at the end of the expedition but bad weather can continue for quite some time. Weather forecasting company Theyr.com have offered to provide my weather forecasts for which I am very grateful. Theyr have a range of forecasts of differing resolutions available and they provide information to leisure sailors, professional mariners and businesses that need the best in forecasting technology. One of the wonderful features of Theyr's forecasts is the ability to click on any spot within the forecast area and have a meteogram for that location appear. Brilliant! 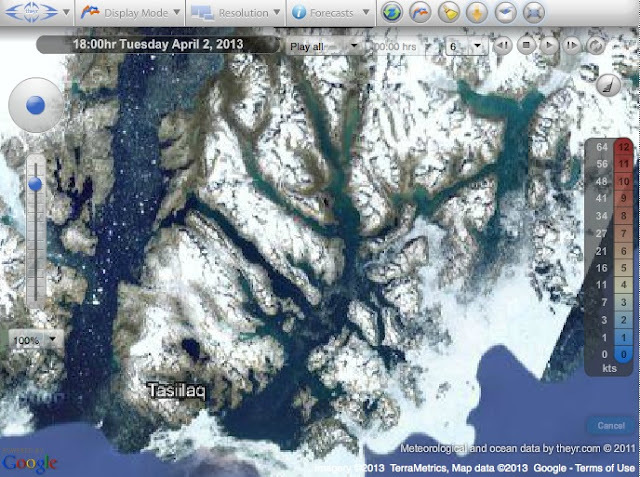 First is a map of the region I will be paddling in as shown by Google Earth. 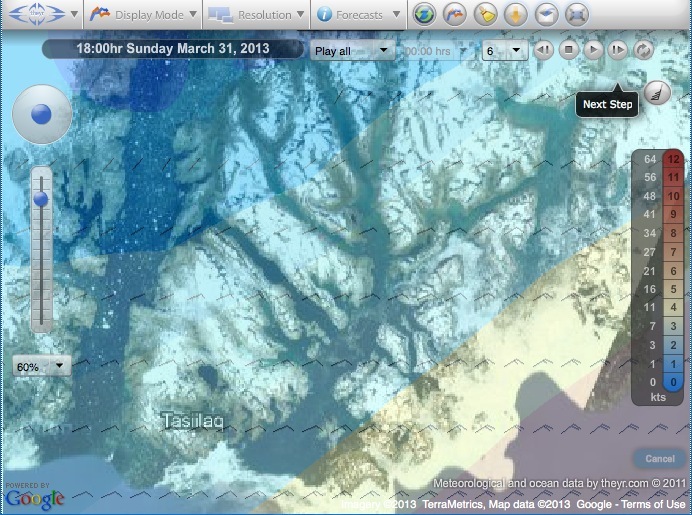 Below is a map of the Ammassalik district with Theyr wind forecast barbs and colour legend shown. Then, if I click on a point pretty much in the centre of the map, on the eastern corner of Ammassalik island, I get a meteogram giving details for that point. A very quick and effective way to get an accurate forecast.